9 Awesome Large Camping Tents for Families! I found the Coolest and Biggest Family Camping Tents for Sale! I hear you are planning a fun camping trip with the whole family soon and need to find the best family camping tent for sale? I think camping should be something for the whole family to enjoy together! But you really need to invest in a nice and good-quality big family tent first. Staying in a cheap and unreliable tent while camping is a nightmare! I once went camping with my husband and my 2 year old daughter and we decided to use our very old (and very cheap) camping tent and we had the worst time ever! It started raining hard at night and we all woke up around 3 am soaking wet! It turns out the tent was full of holes underneath and muddy rain water destroyed all our pillows, cover, mattress and clothes…. 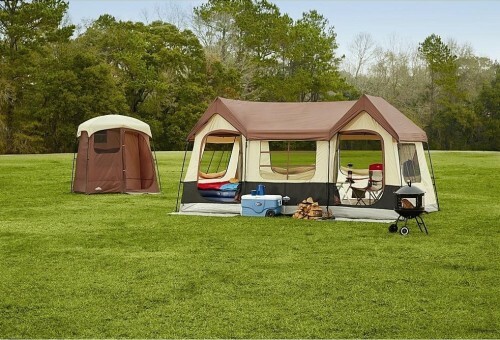 Fun Camping Tent for Large Families! 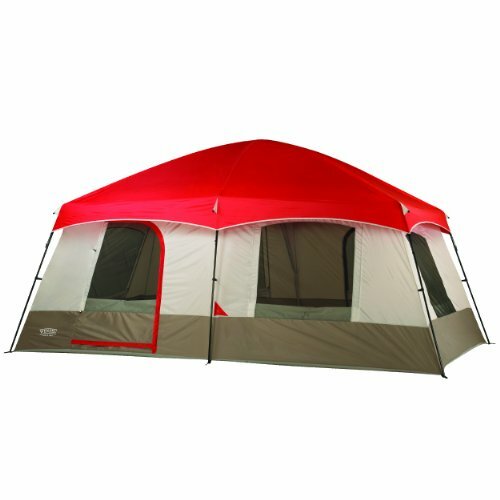 This is a fun and very comfortable, spacious 2-room family tent that fits up to 10 people inside! It has a very high-ceiling design as well, which for me is very important! If you are looking for a great-quality big family camping tent for sale that is easy and fast to set up, you might take a look at this one! 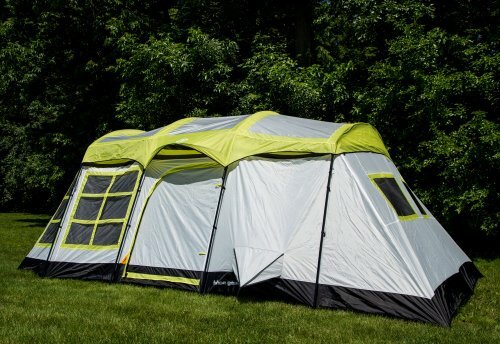 It has over 1,000 customers reviews and it is one of the fastest large camping tents for families to put together! It fits 8 people inside and it also has two spacious rooms. 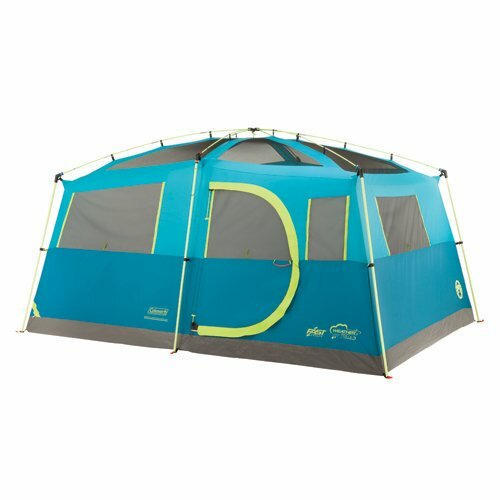 The price is also very good, considering the size of this tent and how easy and fast it is to assemble! 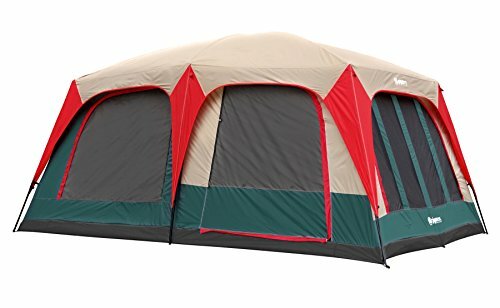 Cute Cabin Style 9 Person Family Tent for Sale! This is a very cute looking, large 2-room family cabin tent for sale that fits up to 9 people inside! It also has a very high ceiling, making it very comfortable to stand and walk inside, and it has four windows. Set up takes approximately 30 minutes, maybe faster if if have help from other people. Large Camping Tents for Sale! Well, the name says it all about this family camping tent! Yes, it is a very big camping tent for sale that sleeps 8 to 10 people inside! It has 2 rooms and a removable divider, and the back room can also be divided into two separate sleeping areas! It also has 6 windows and 3 doors! It will take you about one hour. 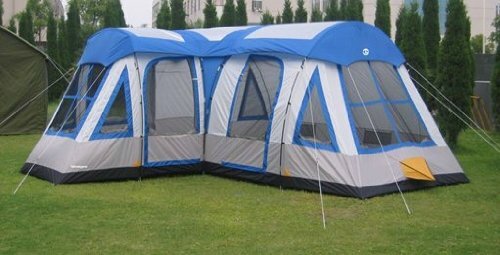 Large 14 Person 3-Season Family Cabin Camping Tent for Sale! If you are looking for the biggest family camping tents around, that fit more than ten people inside, then I think you are going to like this one! It fits up to 14 people! 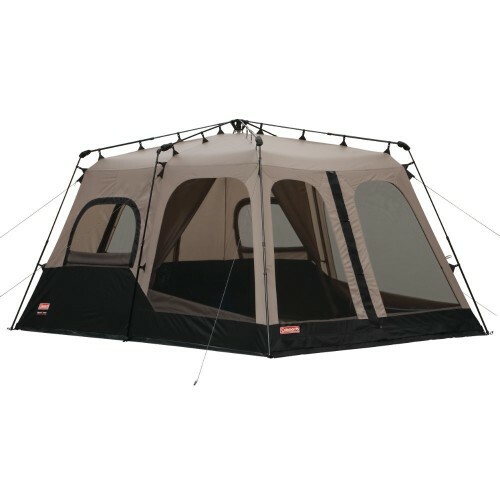 It also has great air flow, which is always important when there are a lot of people sleeping together inside a tent…. It has great water resistance and the bottom is also very thick! 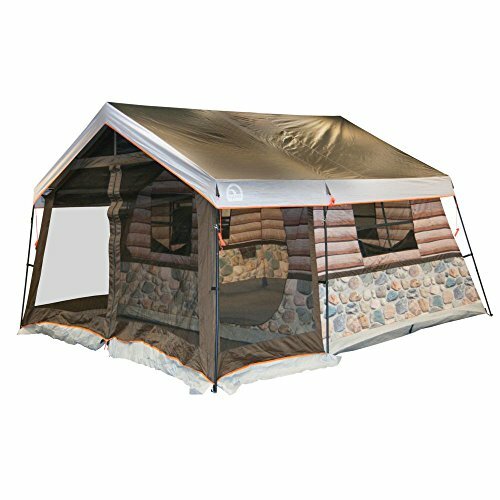 If you are looking for a fun family camping tent that fits up to 8 people inside I think you are going to enjoy this cool ‘log cabin’ design tent for sale! It is very fast to set up as well! But it’s great for a couple with two or three kids, for example! 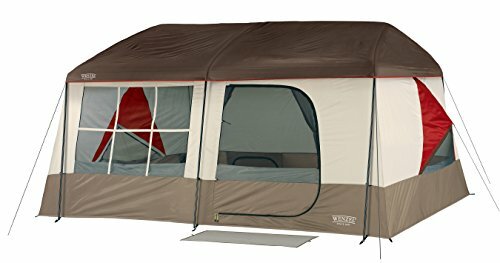 Fun Big Sky Lodge 10 Person Family Camping Tent! Big Sky Lodge 10 Person Tent. Great for Family Camping or As Extra Sleeping Space for Guests. It fits up to 10 people inside and it’s also a great extra-sleeping space for house guests! As you can see in the picture it is very well-ventilated and bright! It also has a room divider and two doors. And last, but not least, another cool looking and very spacious 12-people camping tent for sale! It has a very unique shape and design with separate areas inside, which is great for extra-privacy! It also comes with two sleeping bags specially designed to withstand extremely low temperatures as a bonus! Fun Play Tents for Children!